Chips and guacamole from Dolores. Dolores was just recently opened at 6 South Washington Street in Ypsilanti in the location that used to house the Elbow Room. 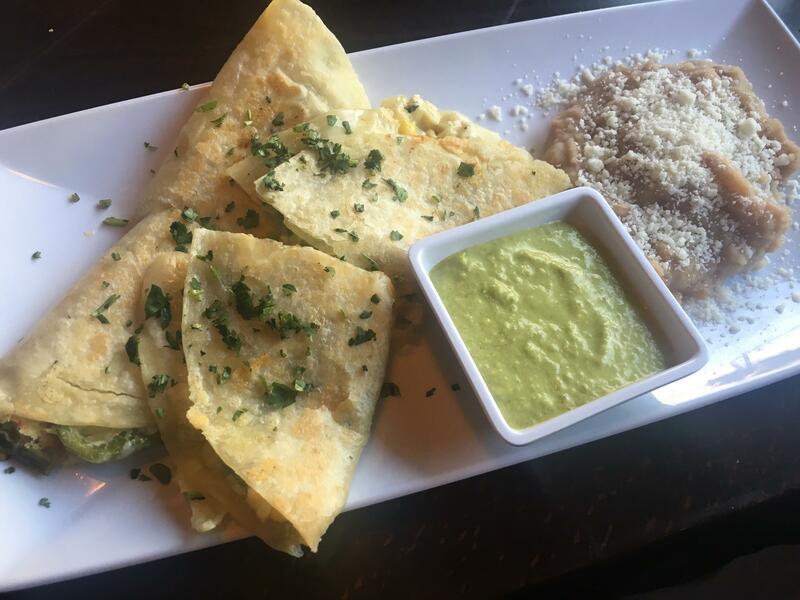 The owners describes the menu as offering authentic Mexican specialties including tacos, tostadas, flautas, and a variety of mezcal and tequila. Rubio and Epstein lived in Los Angeles for around 10 years before moving to Ypsilanti and say their time in California definitely influenced their new restaurant. Epstein is from the Ann Arbor area and went to Community High School and studied music in college. Rubio is originally from Mexico City and incorporated some of her family recipes into the menu at Dolores. 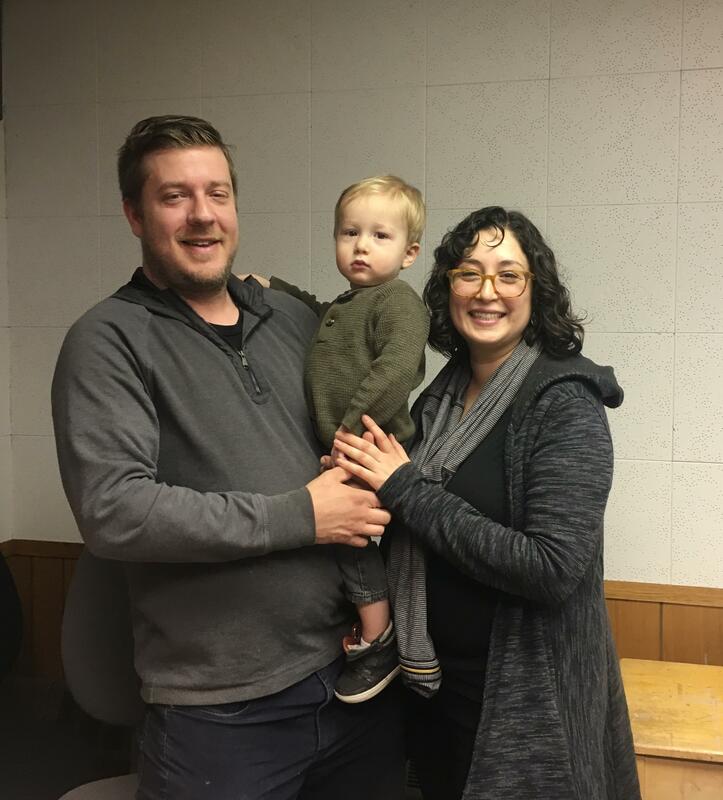 The founders of Dolores, Andrew Epstein (left) and Marcela Rubio (right), with their 18-month old son, Eugene. The couple are parents to 3 young sons and take turns overseeing the restaurant and caring for their family. They will be participating in their first First Fridays Ypsilanti event on April 6th. 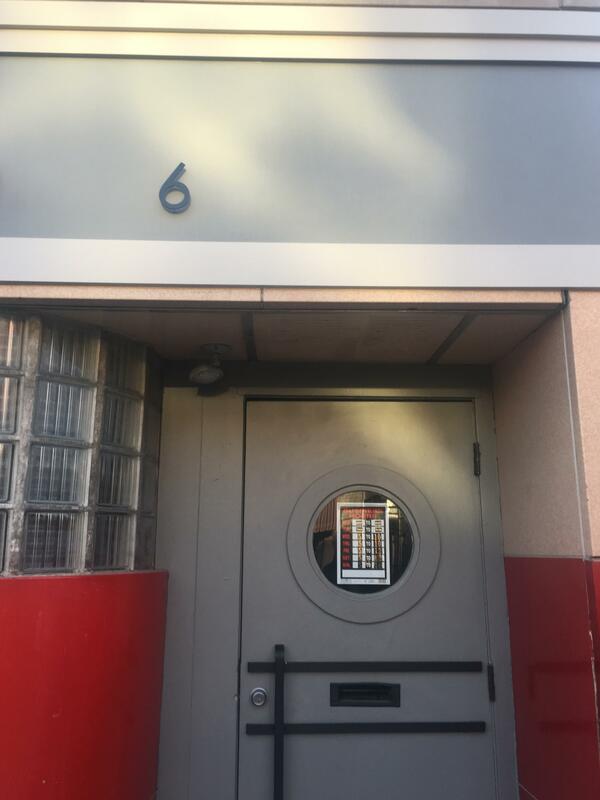 The outside entrance to Dolores. 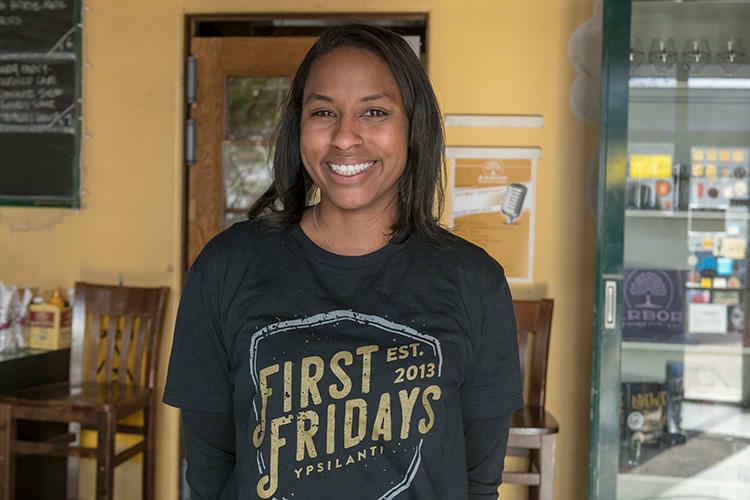 The First Fridays Ypsilanti (FFY) program, which gives tours of Ypsilanti's arts and cultural businesses, kicks off its fifth season this month. In this week's "On the Ground-Ypsi," WEMU's Patrick Campion and Concentrate Media's Brianna Kelly talk to FFY director Elize Jekabson and FFY vice president Kayia Robinson, about what the program has in store for this year. There is traditional medicine, and there is the growing field of medical marijuana. Although illegal on the federal level, Michigan is one of a number of states that has legalized marijuana for medical use. 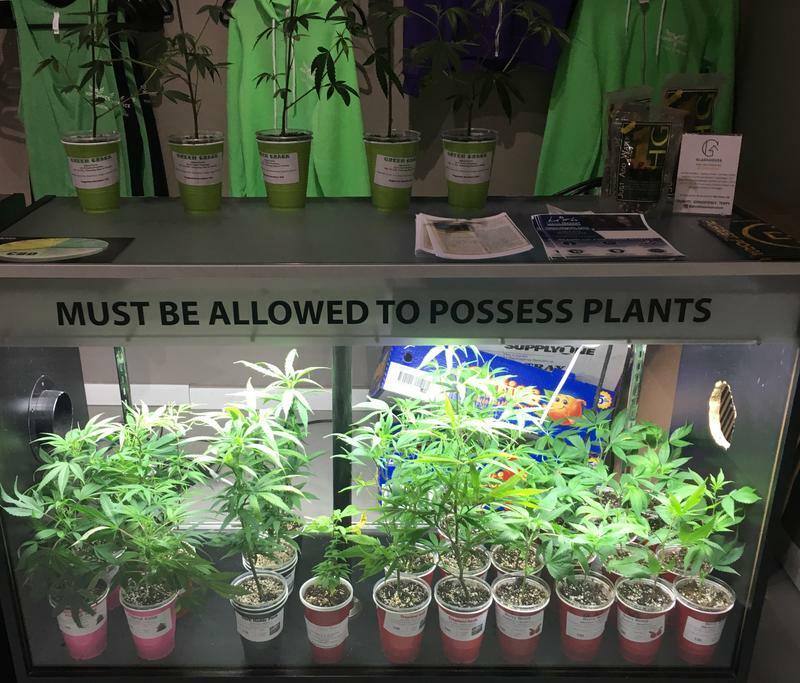 With nearly two dozen medical marijuana facilities in Washtenaw County, you have likely walked past several in your community and not even realized what it is. This week, Art and Soul is about the vibrant visual arts scene in our area. 89.1 WEMU's Lisa Barry is joined by Omari Rush, executive director of Culturesource and chair of the Michigan Council for Arts and Cultural Affairs. They are also joined by an organizer of the upcoming Threads All Arts Festival in Ypsilanti, Nicole Patrick.